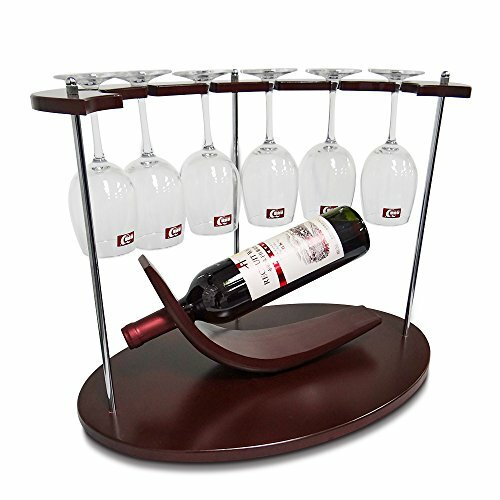 The Tabletop/Countertop Fashion High Class Natural Wooden Wine & Glass Stand/Rack/Holder is perfect for decorate your home, kitchen, minibar and restaurant. Ideals gift for wine lovers, house warming and any special occasion. Assembled Size: 48cm(L) x 30cm(W) x 37cm(H). Ps : wine and glasses not included. Minor assembly required, assembled size is 48cm(L) x 30cm(W) x 37cm(H), Ps : Wine and Glasses not included. If you have any questions about this product by AMZNEVO, contact us by completing and submitting the form below. If you are looking for a specif part number, please include it with your message.